Onyx was adopted from us 3 months ago and has really made himself at home. 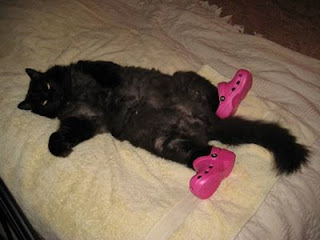 After he chewed through one of his owner's Crocs, they bought him his own pair to chew. Apparently he also occasionally wears them for photos.